If you want to include some music on your podcast then it’s important to remember that some music is protected by copyright and using it without paying a fee or having permission could get you in some hot water. In fact, I heard the story of one podcaster who thought it was a good idea to play some Rolling Stones in his podcast as his regular opening theme. Little did he know that every time he played that commercial bit of music he had to pay a “play” fee. So it’s really important to recognise that as much as listening to music on a radio station is free, playing music on your podcast generally isn’t, and can come with some scary legal repercussions. However, music that is ok to use in podcasts is often referred to as podsafe music, and in this article I’ll be talking about the two types of “pod safe” music you can use for your podcast legally. 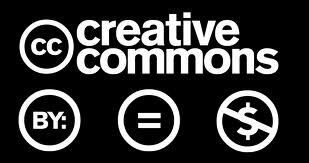 A creative commons license is a license that musicians and producers will put on their music that in simple terms allows you to use their music as you see fit so long as you provide credit to the original author. The easiest way for a podcaster to do this is simply by back or forward announcing the song. For example, “…that track was produced by John Smith”. The other thing about creative commons protected music is that you cannot change or tweak the music in any way or use it for commercial purposes. So if you are using music that is covered by this license then you must not play half the song or cut it up, as that would be breaching the terms. You must play the song in it’s entirety without any modification whatsoever. It’s also against the terms of a creative commons agreement to use this podcasting music for any sort of commercial purpose. So let’s say you’re trying to sell some washing powder off your podcast, and playing the music underneath you sales pitch then that would be commercial use. So if you’re not doing any of those things then creative commons could be for you. It’s generally is free to use, however the production value and quality of the songwriting does vary. This is because most of the music protected under creative commons license is produced by amateur musicians. To find out more about the creative commons license then you can go here. But if you’re ready to go and find some music, then here’s an excellent resource for creative commons sites. Royalty free licensed podcasting music requires you to pay a small (generally once off) fee to use the music. These fees can start at around $5 and run into the hundreds. It depends on the producer, length of track and site that you buy it from. Royalty free music also means quality production. This is because the music has been written and produced by professionals. Compared to producers of creative commons music, who in most cases are amateur musicians looking to promote their music. This is certainly my preferred choice of podcasting music. I use all royalty free music in my podcasts and once you pay the small fee, you are not required to thank or attribute the music to anyone at any time. This makes royalty free music much more practical to use than creative commons music if you are using it on a regular basis. Royalty free podcasting music also generally comes in a variety of lengths or “cuts”. This means if you find a piece of music that you like, the producer can offer you a 15 second, 30 second and even 45 second modified version of the music. This is great if you only need a short grab of music for your podcast intro or outro. The other thing to note is that royalty free music has generally been created for TV commercials, radio ads and not general public consumption. For instance, you will never hear of a royalty free song making the Top 40 charts or being played next to U2 on the radio. I hope that explains a little about the selecting the right podcasting music for you podcast. 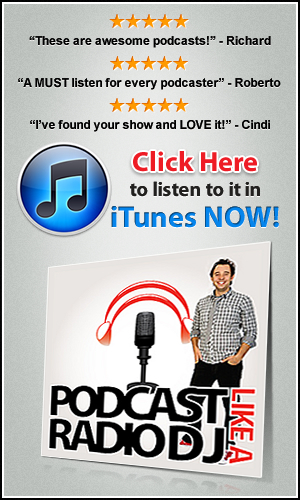 If you’d like some one on one help with your podcast to get more listeners, launch in iTunes or sound more professional then go here.